Fact Check: Is Trump Responsible for Falling Gasoline Prices? Energy experts say the decline in prices is largely motivated by market forces outside the president’s control. But experts attribute at least part of the recent drop to the Trump administration’s decision to soften hard-line sanctions against Iran — allowing waivers for eight countries to buy oil from Iran. Blaming or crediting a president for rising or falling gasoline prices is a regular, bipartisan political ploy. In May, we wrote that Democratic Sen. Chuck Schumer placed too much blame on Trump for rising gasoline prices at the time. President Barack Obama also found himself a frequent target of partisan attacks for rising gas prices. Experts say those kinds of attacks hold little merit, as a president’s influence doesn’t drive gasoline prices. And that’s largely true now. But Trump has also been “uncharacteristically involved” in matters relating to oil, as one expert put it to us, and could arguably have had marginally more influence than past presidents. The price of a gallon of regular gasoline has dropped 33 cents, on average, since the beginning of October, “which is like a big Tax Cut,” the president tweeted on Nov. 25. The national average price of regular gasoline was $2.87 for the week ending Oct. 1 and dropped to $2.54 for the week ending Nov. 26, according to the Energy Information Administration. While Trump likens the drop to a “big Tax cut,” the price of gasoline on Thanksgiving was higher than in the past three years and is in line with the yearly average EIA projected at the start of the year. During a teleconference on Nov. 22, Trump said the low prices are due to his “jawboning” Saudi Arabia and other major oil producers to keep prices low. The international crude oil benchmark, Brent, peaked this year in early October at $86 per barrel, and was at $64.14 on Nov. 19. In January, the EIA forecast that gasoline prices would rise in the summer and drop in the fall. GasBuddy predicted a similar fall drop-off. That’s typical, said Devin Gladden, a gasoline price expert at AAA. Prices tend to decline in the fall as U.S. drivers log fewer miles and suppliers switch to the cheaper winter-blend gasoline, he said. What happened, however, is that prices went much higher than EIA forecast for the spring and summer, before falling off dramatically in the last few weeks. In January, the EIA projected gasoline prices would peak at $2.63 per gallon in August. 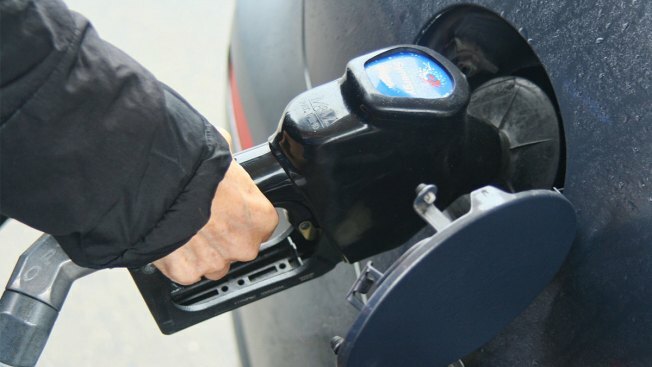 But gasoline prices in August were more than 20 cents per gallon higher than that, and prices were generally higher throughout the year than expected. Back in January, EIA expected the gasoline prices to drop to $2.47 in December. That’s lower than the actual $2.54 price on Nov. 26. Gladden told us that some of the recent drop dates back to the summer when the OPEC decided to ramp up production in the latter half of the year, largely due to fear that supplies might be constrained by the Iran sanctions promised by the White House. The result, Gladden said, is that there was an oversupply of oil, resulting in a price drop. In the meantime, he said, demand cooled due to uncertainty in global economic markets, and because U.S. oil production continues to set record highs. It is true that Trump has frequentlycalled on OPEC to keep the oil supply robust, and gasoline prices down, but experts say that in and of itself doesn’t likely exert much influence. “The huge loss of wealth for various asset classes and traders has in my opinion been the most impactful event,” Kloza said. “Americans might be saving $100-million or so on gasoline each day, but more than a trillion dollars in wealth has been trimmed since Columbus Day,” referring to stock value. “One could also thank Nigeria, Libya, and Iraq for all moving through a non-tumultuous autumn,” Kloza said. Patrick DeHaan, head of petroleum analysis for GasBuddy, said that while he has frequently echoed the mantra that gas price fluctuations are predominantly due to market forces, not a president’s policies, things may be a little different under Trump. “I think this time around, there is a little more to it,” DeHaan said. Trump has an “untraditional means of doing business,” he said, and has been “uncharacteristically involved” in oil-related matters. 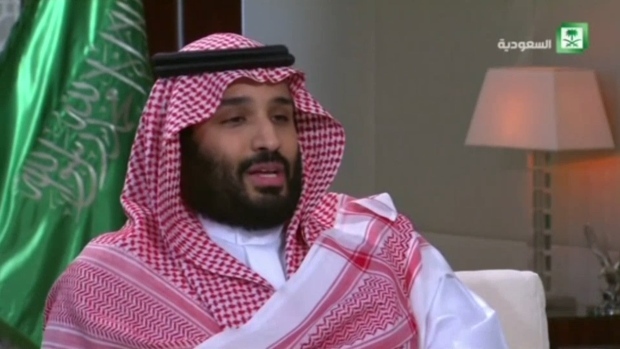 Saudi Arabia may be “continuing to leave the spigot open to deflect from the Khashoggi situation,” DeHaan said. Between that and the decision to grant waivers to eight countries from the Iran sanctions, DeHaan said he thinks Trump is responsible for up to 25 percent of the drop in gasoline prices. “But he can’t take complete credit,” DeHaan said, noting that U.S. oil production is at an all-time high, and it continues to increase oil production. While the energy experts we spoke to expect prices to continue to drop for a week or so, that decline is expected to be short-lived. When OPEC and Russia meet on Dec. 6, they are expected to cut supplies to stem plummeting oil prices. “I think we’ll see prices bounce back up,” DeHaan said.